The spring of 2012 found us in our first home, deep in the middle of a remodel with three young kids. We needed a distraction and I was ready to fulfill some of the long awaited perks of home ownership. 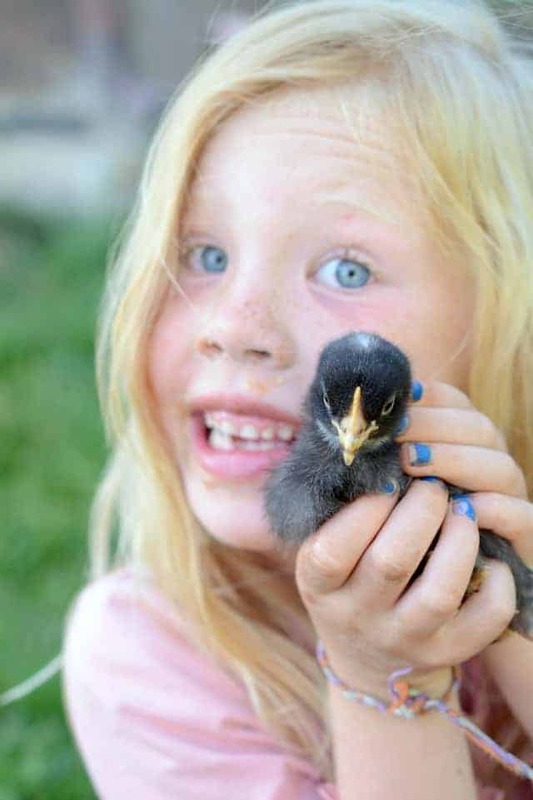 I packed the kids down to IFA where we picked out 6 different breeds of chicks. 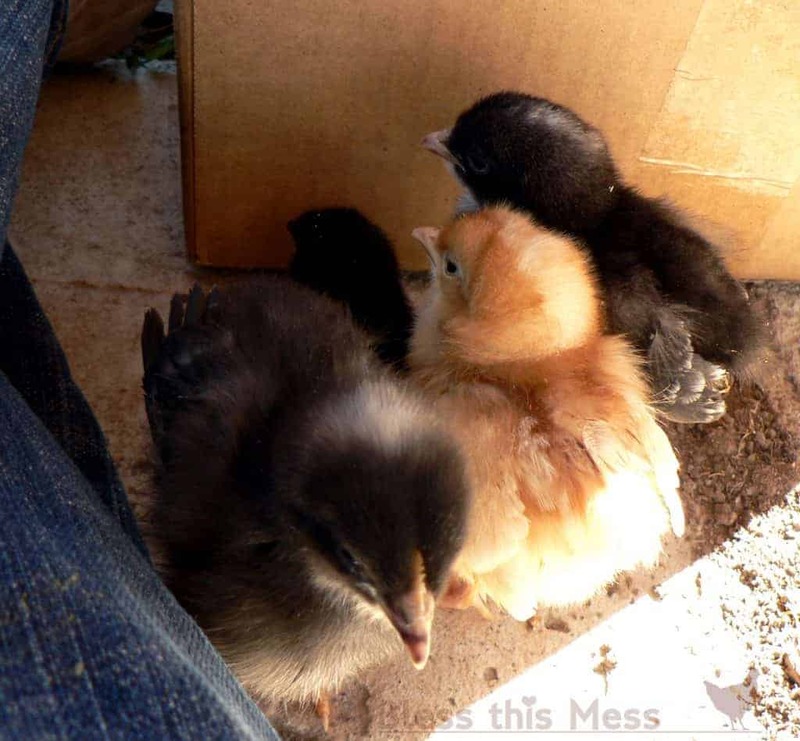 The store provided a package of Peeps to distract the kids (perk of small town living) while I found food, a waterer and feeder, and the store employee stuck 6 tiny chickens in a cardboard box with a handle. It was day that won’t soon be forgotten. Did I know what I was doing? No! But we had a book, excitement, and a gutted half a house to keep the chicks in. These little fluff balls quickly became our fondest pets. The chicks stayed in a little pen inside the house (in the remodeling side) for a few months. I had to teach the kids that they couldn’t get in the pen. 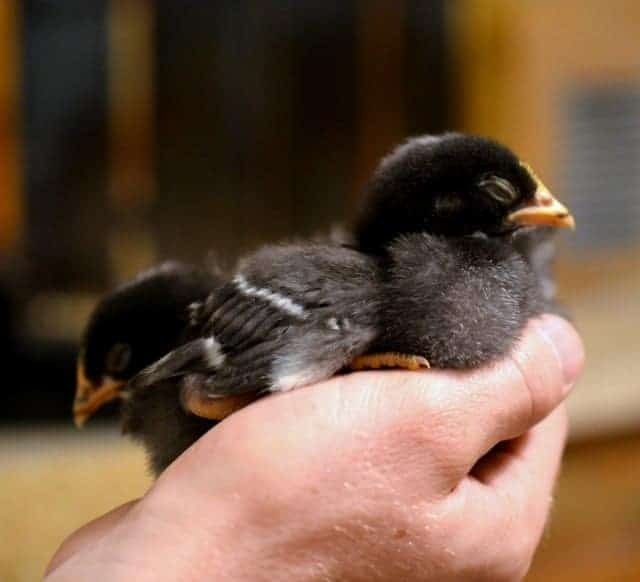 We would take the chicks outside on warm afternoons to stretch their legs, hunt for bugs, and roam free, though they never ventured far from their pen. In the late spring I made a coop for the hens out of scrap wood from our house. It’s a portable coop with nesting boxes in the top. They roam the yard during the day and then go home for the night where I lock them in (to keep chicken-eating critters out). I got a few more birds from a friend and in the fall of 2012, at the height of my brood, I had 9 beautiful laying hens of 6 different breeds. I collect 6 to 8 eggs that varied in color from brown, white, green, and blue each day. In the fall my neighbor’s dogs killed 6 of our beloved pet hens and I was heartbroken. I have three hens at the moment and we are trying to figure out the winter weather together. In the spring I’ll get more chicks and the fun will start over again. 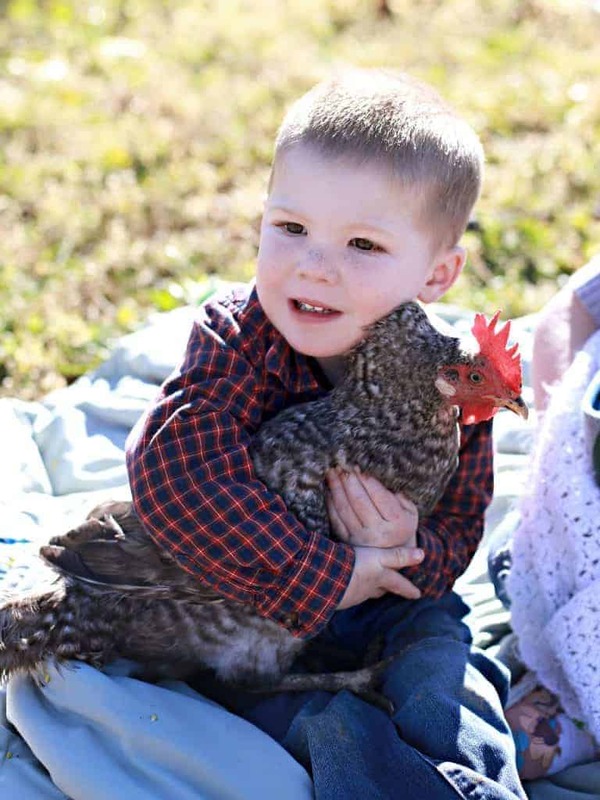 Raising chickens has been far more rewarding than I ever could have imagined. 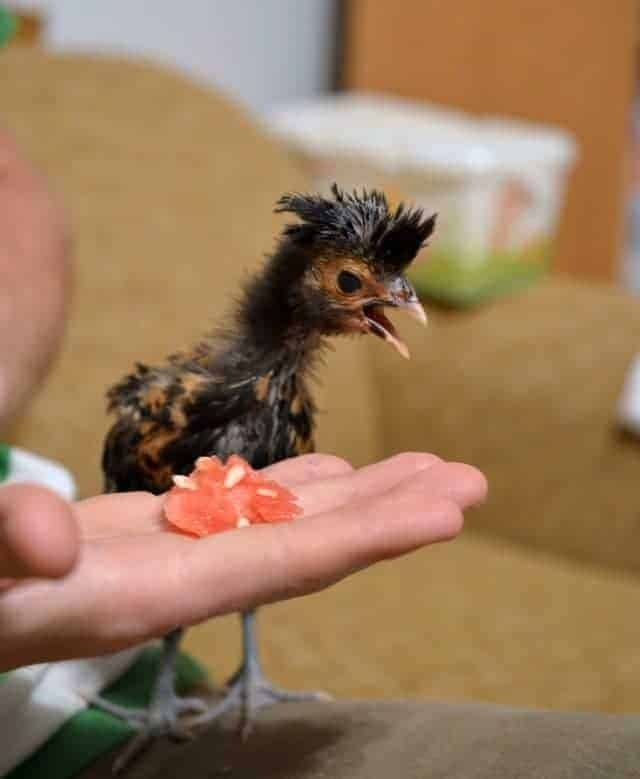 Who knew that productive little egg-layers would make sure nice feathery friends? The ladies all come with their own personalities and quirks, and it’s been an adventure for me to learn with the process. 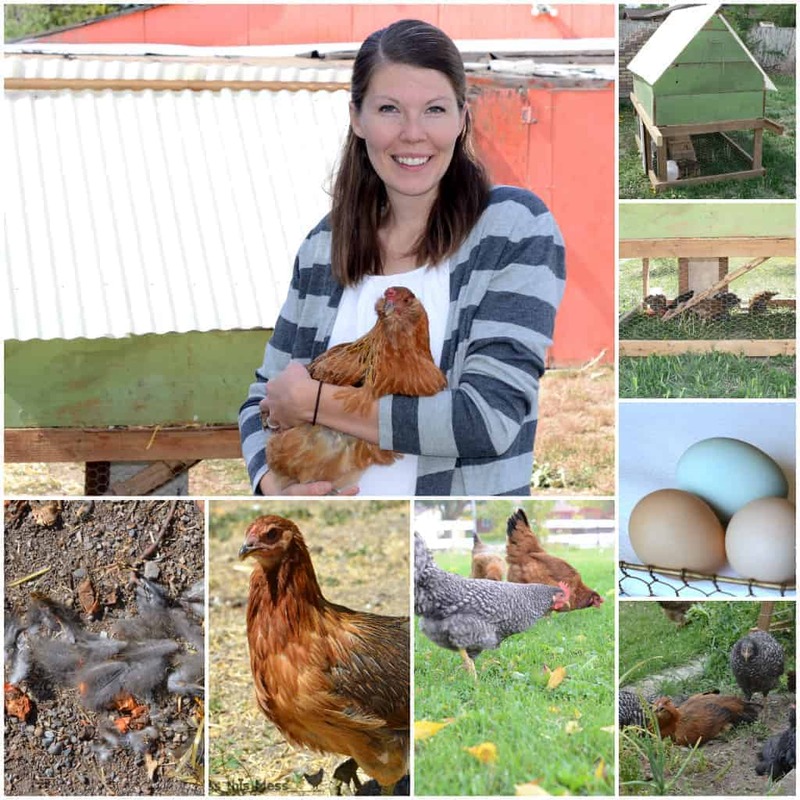 DIY Portable Chicken Coop – I’m so ridiculously proud of this! 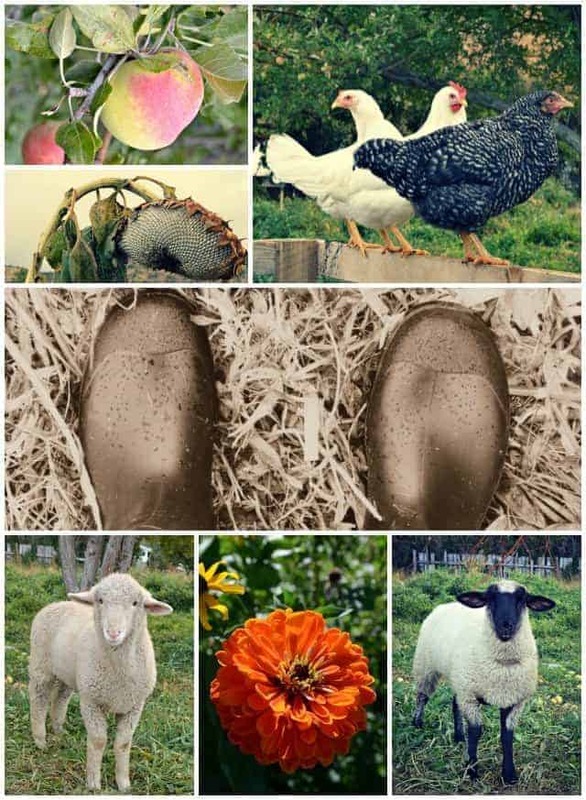 We all need more chicken coops in our lives right?! Best Day Ever! – finding my very first egg! And then we moved to Husband’s home town and started our little hobby farm dreams in the summer of 2013. Now I have 11 hens, a huge garden, apples to make cider, and even raised two lambs for meat. The hens currently run around the backyard of our rental and are loving life almost as much as we love them! 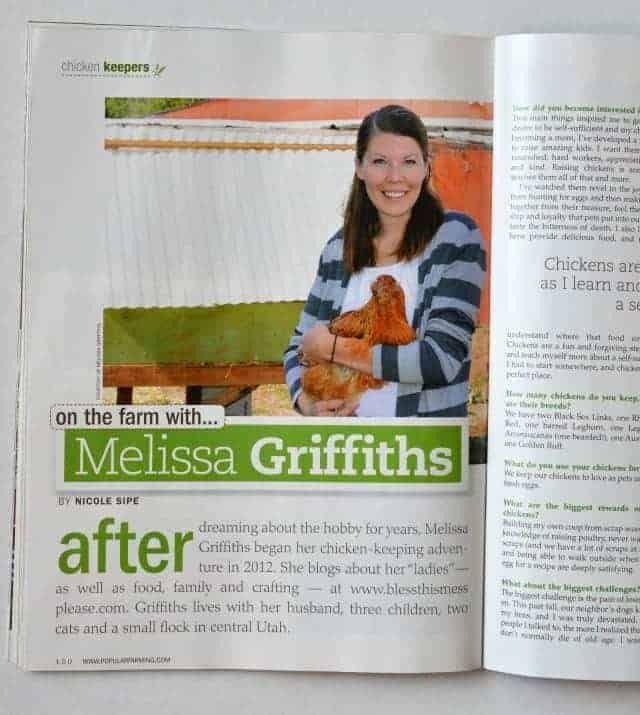 And my ultimate claim to fame – being in a chicken magazine! This is SO cool! 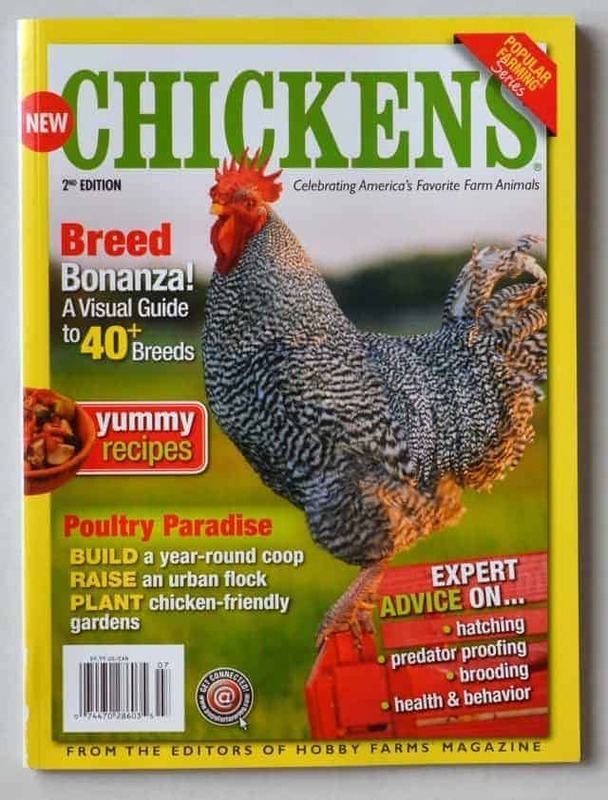 My mom and I have been wanting to get chickens to raise ourselves! It seems so rewarding AND you would know exactly where your eggs are coming from!